If you are in the process of moving out of state or even plan to move in the near future, then auto insurance is probably something that you have been dreading taking care of. You would probably benefit by making a checklist of everything that goes into finding auto insurance after moving to a different state, as an added assurance that you don’t miss any important details or steps. 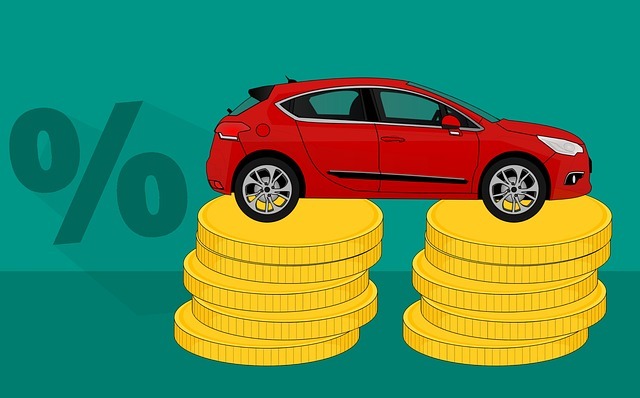 The importance of maintaining auto insurance not only for the protection of your vehicle but also to protect your own liability and safety, as well as the safety of others. However, you do not have to break the bank while doing it. Most states differ as far as the minimum requirements that one has to meet in order for their vehicle to be legally insured in that state. The difference could be anywhere from what type of coverage is needed to the amount of coverage. Familiarizing yourself between the coverage requirements of each state will better equip your journey to becoming insured in your new home state. The most important step is to not allow your auto insurance to lapse at any moment. During the process of relocating, your current insurance company will usually cover you during your travel to the new destination. However, you need to purchase a new policy in your new state. Prior to leaving, it is a good idea to communicate with your insurance company to check whether or not they cover what is called a broadening clause, which will allow you to be covered during your transition out of state. If you are relocating to a different country, be sure to check with your insurance company because there is usually a different process involved. For example, Mexico does not recognize the United States auto insurance policies at all. Separate insurance has to be purchased even while just vacationing in Mexico with your vehicle. Now although separate Mexican insurance is required, you can still purchase it through your own insurance company. Most, if not all of the major insurance companies have a partnership with Mexican insurance companies and will certainly be able to assist you in acquiring the insurance that you will need. Now that you have the information on exactly what you need and how much of it that you’ll need, it’s time to shop! I recommend that you perform an internet search with keywords such as, ‘auto insurance near me.’ You’ll be directed to visit sites like www.cheapcarinsurance.com. It’s a very simple process. You would type in the zip code of the location to which you are moving and click the green button to get started. You would then type in the specifications of your vehicle such as the year, make, and model. For further accuracy, you may want to type in the number of drivers, any incidents that may have occurred such as accidents, and things of that nature. The more details that you input, the more accurate that your quote is going to be. You are already dealing with the huge task of relocating, so any steps that you can eliminate while still maintaining complete accuracy will make things easier on you. Also, if you get hung up on any details or questions that you may have, feel free to contact the company’s customer service to speak to a licensed agent. By all means, keep your current insurance active until you are relocated into your new home. For example, something may come up to where the move is delayed. Do not allow your insurance to lapse for even a day. Once you are moved into a new state, generally you have anywhere between thirty and ninety days to register your new vehicle. With the time that you will spend settling in to your new environment, those dates can sneak up on you in no time. Although that provides you some breathing room as far as time is concerned, I’d recommend that you immediately secure your insurance and register your vehicle just to get it out of the way. Remember, relocating out of state takes a great deal of preparation and even more bravery. You have most likely already secured your residence, the next best step is making sure that you are protected during the entire process. The thought of shopping for and maintaining car insurance during the move may seem intimidating and expensive but once you get into the process, I promise you that you’ll breeze right through it. Just remember to utilize the tips for searching online with the keywords, cheap auto insurance near me, and you’ll be flooded with all of the information that you’ll need in a one-stop process. Remember, you don’t have to spend a fortune to get the best. With just a few clicks and some elbow grease you’ll have access to the best coverage and prices available.